Spectacle, luxury and glamour are all to be found in the biggest yacht shows around the world. 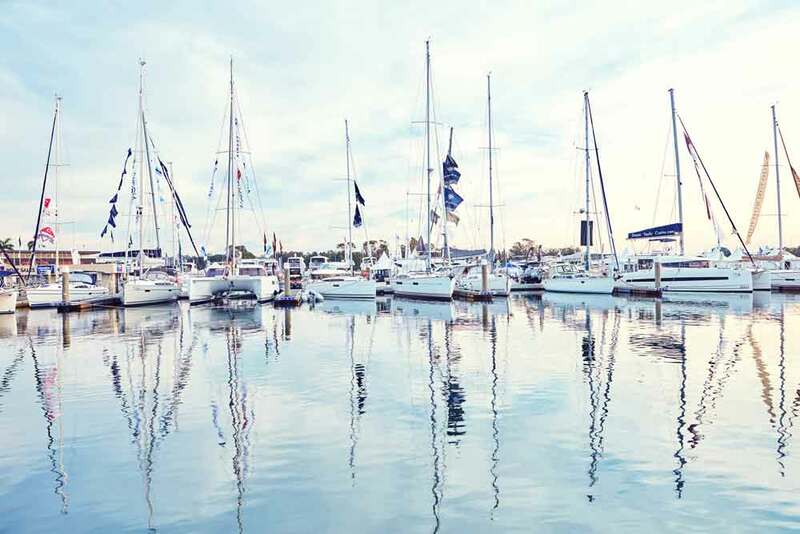 Every year the picturesque Sanctuary Cove Resort on Queensland’s Gold Coast becomes the setting for this long-running yacht show—due to celebrate its 29th anniversary in 2017. Some 40,000 visitors will spend four days exploring the latest designs and industry trends in the yachting world, as well as enjoying the charms of the many restaurants and bars in the surrounding resort. One of the Middle East’s most important yacht shows combines a leisurely pace (unlike most yacht shows, this event starts in the late afternoon and continues into the night to avoid the desert heat) with a striking setting—Dubai’s arresting cityscape. 2016’s event showcased over 450 superyachts and leisure crafts to more than 30,000 visitors, who collectively spent $68 million on purchases. Next year’s event, which celebrates the show’s 25th anniversary, promises to be even bigger. It’s one of the biggest yacht shows in the industry, set in the self-proclaimed yachting capital of the world. This year’s event, the 57th of its kind, showcased billions of dollars’ worth of boats—from catamarans to superyachts—in an event that, impressively, covered five separate locations. As well as superyachts—of which you’ll find plenty—this increasingly popular event is also known for its nightlife and high-end parties. Set in the glamorous ONEº15 Marina Club, visitors will also be able to shop luxury timepieces, jewellery and cars. This event is the place to go for seriously impressive superyachts of every kind—typically at least 125 one-off luxury behemoths are showcased every year, with 40 of them making their debut at the show. Combine this with a glamorous setting in the iconic Port of Hercules in Monaco—what’s not to like? If you liked reading about yacht shows around the world then click here to learn about investing in classic cars.